’Shivabagh’ Heritage Bungalow in Kadri taken for Rs 50 crores. Can it be saved? 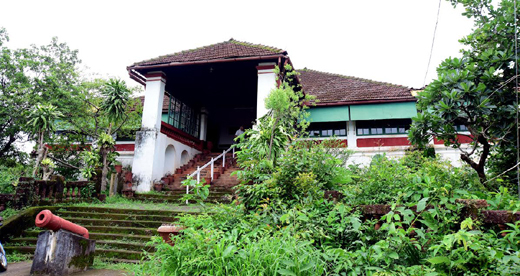 While Mahathma Gandhiji is said to have visited this house, Pt Jawarharlal Nehru, Gurudev Rabindranath Tagore and Chakravarti Rajagopalachari among others had stayed in this bungalow during their visits to Mangaluru. 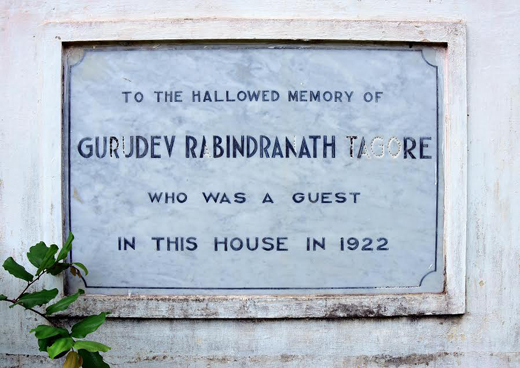 There is a stone inscription mounted on the wall of the house in Rabindranath Tagore’s memory, it is said that there is a portrait of Pt Jawaharlal Nehru in the bungalow signed by Nehru himself. According to sources, the heritage bungalow situated in 2.4 acres of land has been sold to a wellknown builder in City for over Rs 50 crore and probably a glass frounted high rise complex is set to come up on the spot sooner than later. According to local history buffs, the bungalow was constructed by Deewan Bahadur Nyampalli Shiva Rao about 150 years ago. He served as the Chairman of Mangaluru Municipality between 1891 and 1894. His wife Lalitha Bai was social reformer Kudmul Ranga Rao’s eldest daughter. The couple’s son Subba Rao had three sons - Krishna Rao (married to wellknown social reformer and freedom fighter Kamaladevi Chattopadhyay; Rama Rao (whose daughter Tara Rao successfully ran the Chandavarkar architect firm after her husband, renowned architect Narayan (Nanu) Chandavarkar, passed away. "Mangalore today’ published a feature on Tara in 2012) and the youngest Shiva Rao, who has a sister Shantham. Bengaluru based Shiva Rao’s son N Subban Shiva Rao is the last known owner of the property. A caretaker couple looks after the heritage house. While it is locked and the couple stays in a portion of the bungalow. No one is generally allowed on the premises. It may be mentioned here that the Nayampalli family contributed greatly to erstwhile South Kanara in the fields of education, social reforms and improving the infrastructure of the district. Gandhiji’s grandson : Mahathma Gandhiji’s grandson Gopalkrishna Gandhi, who was in City three months ago was thrilled after visiting the Shivabagh bungalow, learning that his grandfather had visited the very same bunglow about 100 years ago. Gopalkrishna Gandhi, also the former Governor of West Bengal, had reportedly asked the authorities concerned in City to explore possibility of preserving the heritage bungalow without causing any irritation or discomfort to the owners. It is also reliably learnt that the present owner N Subban Shiva Rao was reluctant to any such proposal, said to be due to his own impressions about the government machinery. “He wants privacy and wanted to deal with the bungalow as per his wishes,” said another person, who did not wish to be quoted. When contacted a prominent entrepreneur in the City, he said that he would be happy to involve himself in preserving the heritage of Port City provided if anybody (including the government) comes forward to initiate the works. It was announced some time ago that construction of ‘Gandhi Bhavan’ at a cost of Rs 3 crore in each district (2016-17 budget) in the next two years to propagate the ideology of Gandhiji. The State information department has been asked to implement the same. Though the heritage structure, ’Shivabagh’ is sold for a whopping Rs 50 crore (2.4 acres), retaining a small portion of the building in Gandhiji’s memory and utilising the available funds for the purpose would serve a greater cause - saving the heritage structure and utilising the funds for the right cause. Hopefully the authorities will take a call on this immediately. We have to save If we hand it over to the builder they will naturally Demolish new Building. They give importance only to money and not the history. The buildings of such historic importance a have to be saved for future.